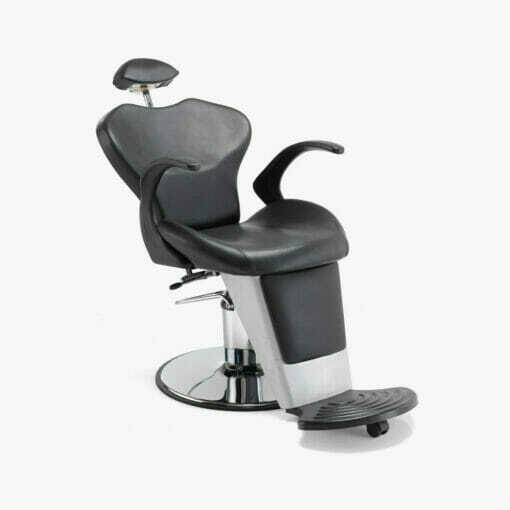 Modern gentleman’s stylish slim look barbers chair, with a moulded interior, finished in a hard wearing black vinyl. 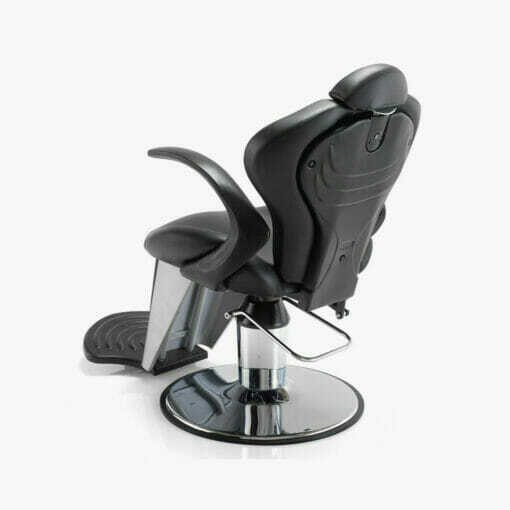 Modern barbers chair with a stylish slim line look. Supplied with a strong and sturdy, round hydraulic base. This chair features a moulded foam interior, finished in a hard wearing black vinyl. With elegantly curved black PU armrests. A great combination of comfort and durability. 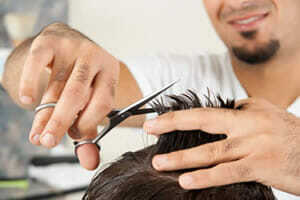 Ideal for the barbering environment. 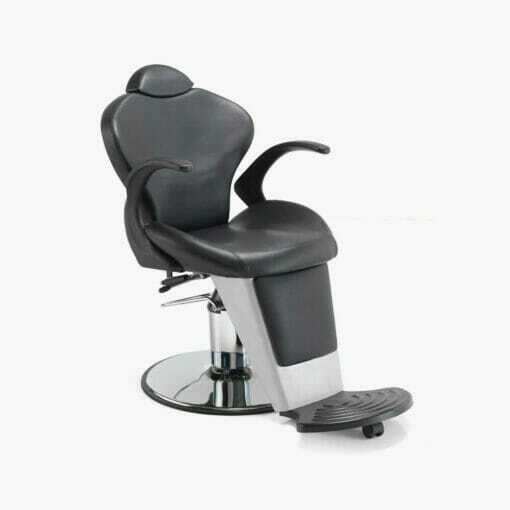 The REM Ambassador Barbers Chair has a reclining back and adjustable headrest. Allowing you to easily position the client comfortably. With adjustable height, fixed leg rest and heavy duty foot rest. Suitable for Barbering and all Gents’ treatments. Dimensions: Height 56 – 66cm. Width 65cm. Depth 100 – 155cm. 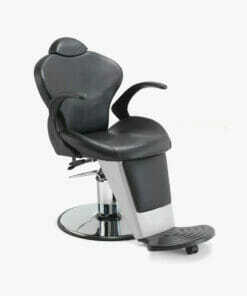 This product is no longer available, please see our Barber Chairs category for the current range of barber shop chairs.